2-Step Hydraulic Press Juicer – in step one you grinding up the produce, and then using a hydraulic press to squeeze the juice from the pulp. 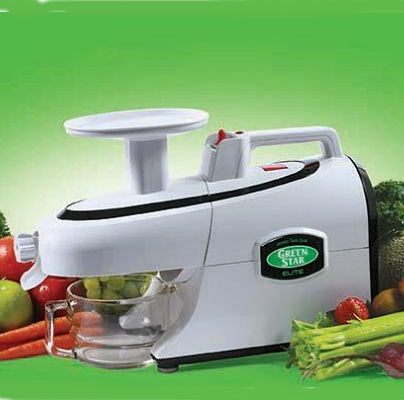 The costly Norton juicer is an example of this method. TIME PERIOD: Most raw foodists prefer consumption of their fresh squeezed juices just after juicing. It is not unusual, however, to some people to take over an hour. This review covers the period of time most accepted for consumption of fresh juice. Fifteen minute test periods were established based upon observation of fifty different individuals and their consumption pattern. PRODUCE SELECTION: Carrots and apples were the produce of choice for this study. Each represents an opposite end of the produce spectrum. Carrots – a fibrous vegetable that can be difficult to grind without building up heat in the juicer and in the juice. 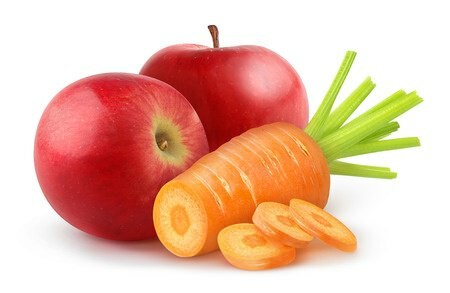 Apples – a soft, pulpy fruit which is hard to get pulp-free juice from. A higher pH in juice indicates a greater concentration of oxygen present. Minerals such as calcium are more readily absorbed and utilized by the body if they are bound to oxygen. Bio-available minerals are a great part of the reason for consuming fresh squeezed juice. Therefore, fresh squeezed juices need to be as alkaline as possible, and remain that way as long as possible. 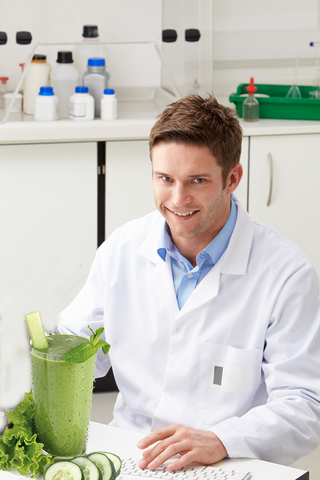 Test on the juice volume and mineral content of vegetable juice made with several different juicers.